Home>New Songs>KXNG CROOKED Songs> KXNG Crooked Pays Homage To Pac On "Glock Away"
West coast rappers have come to cite 2Pac Shakur as a dominant influence, and KXNG Crooked is no different. Interestingly enough, Crook and Tupac share a common bond, in that both men spent time signed to Suge Knight's Death Row records. It's no wonder Crooked feels comfortable dubbing Pac the GOAT, as he does in the opening moments of "Glock Away." Flipping the iconic instrumental of "Ambitions Az A Ridah," Crook opens things up with a heated verse, proving that his flow remains upper echelon, even when delivered on a week-by-week basis. "They locking us up, evidence don't matter, we killing each other, melanin don't matter," he spits. "Count up the bodies death is in the data, can a G get to Heaven on a ladder? How can he leave his weapon on the counter? Out in the street with weapons all around him." Clearly, Crooked shows no signs of slowing, remaining consistent and cultured in his beat selection. Check out "Glock Away" now, and sound off below. How can he leave his weapon on the counter? 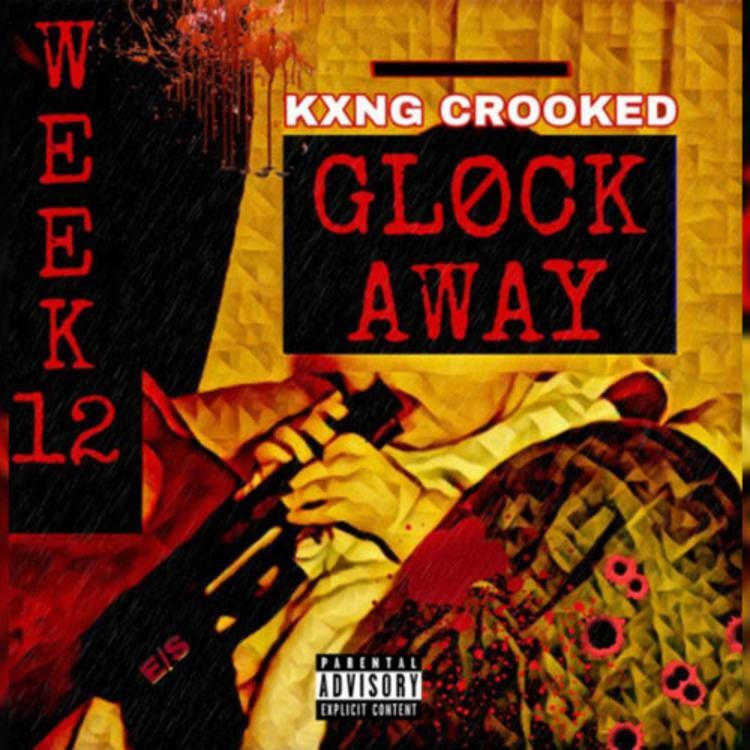 SONGS KXNG Crooked Pays Homage To Pac On "Glock Away"